Details: Create a SQL Server database called: ITCO333Database. 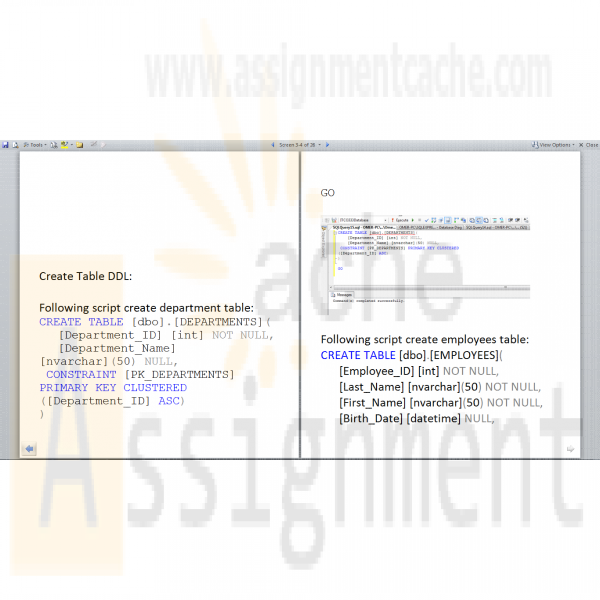 Using Data Definition Language (DDL) and Data Manipulation Language (DML) you will create the below DEPARTMENTS and EMPLOYEES tables. Before you begin creating the new tables, review your tables created in Unit 1 IP to ensure that your database is in third normal form (3NF). Insert at least four records of sample data into the DEPARTMENTS table. 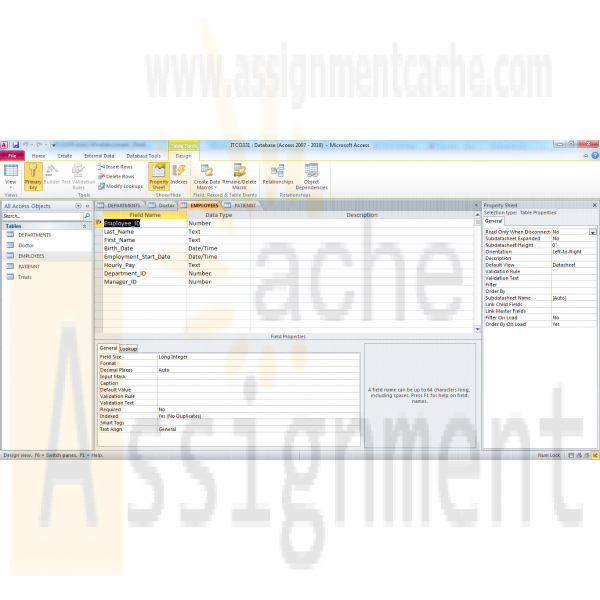 Employee_ID Int Primary Key Last_Name nvarchar(50) Cannot be null. First_Name nvarchar(50) Cannot be null. Department_ID Int Related to the DEPARTMENTS table. Create a foreign key constraint. Manager_ID Int Related to the Employee_ID in this table. Insert at least eight records of sample data into the EMPLOYEES table. Part 2: Using your Unit 1 ERD, create tables, fields, primary keys and relationship constraints in your ITCO333Database. 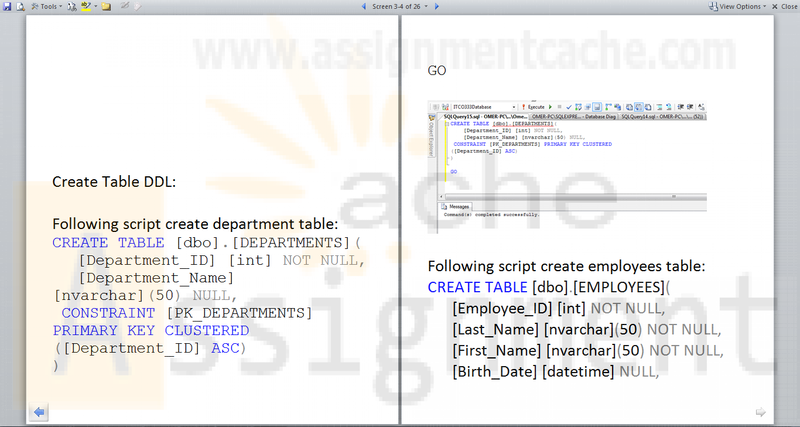 Insert your Unit 1 sample data into the newly created tables. Part 3: Generate a SQL Server Database Diagram. The aforementioned SQL DML must be in text format (no screen shots).